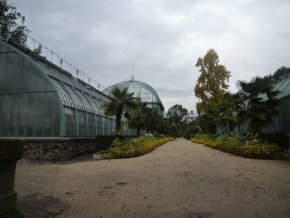 Those of you who have never visited the Serres d’Auteuil (ill. 1), should waste no time in discovering this magnificent landmark, significant for its historical heritage with its greenhouses built in 1897 by Camille Formigé as well as its extraordinary collection of plants and flowers, a patrimony of nature’s splendor. The Serres will not be around for long as the mayor of Paris, Bertrand Delanoë, is planning to turn the site over to the Fédération Française de Tennis, without a second thought, allowing it to expand in order to ensure that Roland-Garros remains on the Grand Slam tour along with Wimbledon, the US Open and the Australian Open. 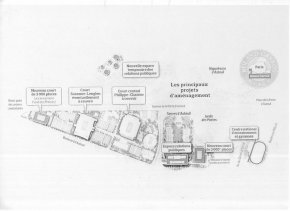 Given its limited space, there are not that many other options for Roland-Garros, either it encroaches on the Bois de Boulogne, an idea which, rightly so, has already raised fiery protests or it annexes the Serres d’Auteil. A third choice would mean leaving Paris for Marne-la-Vallée, for example, a few kilometers away. To better understand the stakes here, we need to take a look at a map of the gardens (ill. 2) whose grounds are entirely listed as heritage. The dark blue in the centre indicates Formigé’s historical greenhouses, five buildings listed as historical monuments (ill. 3). Next to it, on the lower right, are the “hothouses” and a “technical building”. 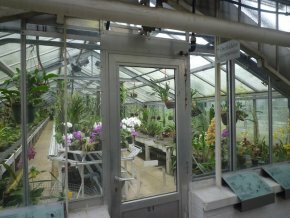 The hothouses, built in the 1980’s and recently restored as was the rest of the gardens, are not of course of major architectural interest but conserve rare plants, including some orchid collections (ill. 4). In fact, in many cases the natural habitat of the plants will be endangered. 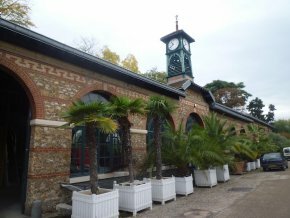 The technical building is also a greenhouse, serving as temporary storage of plants grown in Rungis and used for floral decorations in the various city halls of the arrondissements ; the basement houses the locker rooms, showers, community meeting rooms and technical installations for the garden’s maintenance. Finally, at the bottom of the map we see the operating buildings (ill. 5), also listed, which are basically a depot used by the gardeners to stow their tools and machines. Now, let’s imagine what the Serres d’Auteil would become if the project proposed by the city of Paris were approved. This is not hard to do as we managed to obtain from a reliable source an in-house document which describes the project in detail  (ill. 6). These plans were confirmed verbally to the greenhouse personnel. The project consists very simply in eliminating the “hothouses” and the “technical building”, replacing them with a tennis court seating 3.000 people, with removable tiers providing a seating capacity of 7.000 during the tournament. The plants now inside these greenhouses will therefore have to be moved out and the facilities under the technical building will disappear. The operating buildings will also be taken over during the tournament to be used for a “public relations” space. 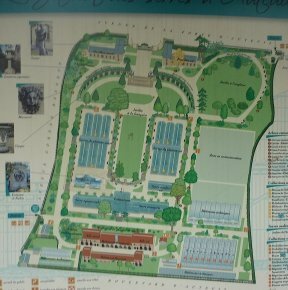 The consequences of this project would seem to be rather obvious : the future demise of the Serres d’Auteuil. Besides the fact that they will not be able to operate normally, deprived of a large portion of the plants and also the facilities which are indispensable for the gardeners to carry out their work, one can easily picture the result of a crowd of 7.000 persons swooping down at the same time on this extremely fragile site. This is a valuable garden which was not designed to welcome large numbers of visitors, particularly when they are not there to admire the plants. We also wonder what will become of the furnace which provides hot water for the greenhouses and which is listed Seveso. It will probably be destroyed to build the tennis court. Eventually, the greenhouses will become a permanent annex of Roland-Garros and the Fédération Française de Tennis. In fact, this is not a recent project. There must be a connection to the fact that the Direction des Parcs et Jardins, housed in the pavilions at the park’s entrance (ill. 7), moved two years ago. This probably explains also why the Serres d’Auteuil are no longer authorized to organize exhibitions. We will soon turn our attention to several other projects which Paris city hall has in store and which are extremely alarming for its urbanization and heritage. Bertrand Delanoë appears to be returning to the worst years under Georges Pompidou’s presidency when the city was extensively disfigured. No wonder that a special section within Paris City Hall, in charge of new projects for city planning and directly linked to the mayor, has been nicknamed inside city hall “the concrete specialists” [“les bétonneurs”]. This is an emergency which calls for immediate reaction. 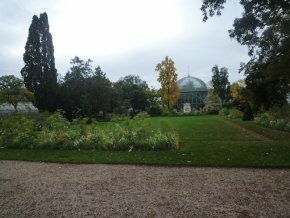 We point out that a petitionto save the Serres d’Auteuil has been posted online, with 2.500 signatures in less than five days. We of course encourage all of our readers to sign it and pass it on to their friends. This is not yet a lost cause as the Fédération Française de Tennis has not made a final decision. Strong opposition might force it to back out. Le Figaro has already published this document, adding colour, in an article appearing on 19/05/10. 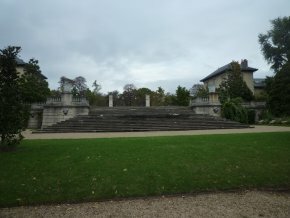 Previous article in Heritage : The zoo at Vincennes should not disappear !